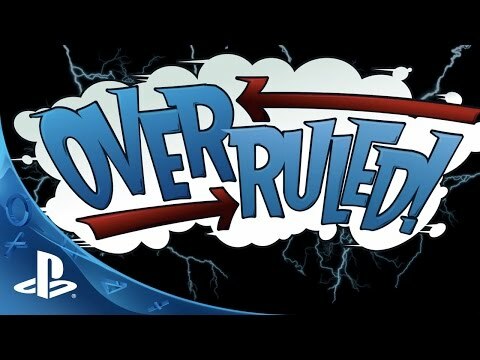 Overruled is a multiplayer brawler like no other where the players change the rules as they play, directly influencing the dynamics and direction of combat. Challenge up to three friends with both local and online multiplayer to a battle and the person with the most points at the end will win the game! But the rules are yours to play with and with loads of change ‘em up cards, you’ll never know how the battle will go! You could be playing Deathmatch now, but one of your rivals might decide to change it to Swag Bag. Or King of the Hill. Or Capture the Flag. Everyone dead? Double the respawn timer. Not doing so well by yourself? Turn on teams. Got the swag bag? Double the points you earn.